on specially developed harbour tugs. Elincom used our BLUEBOX CX LR 1CH and our MR Antenna for this purpose. 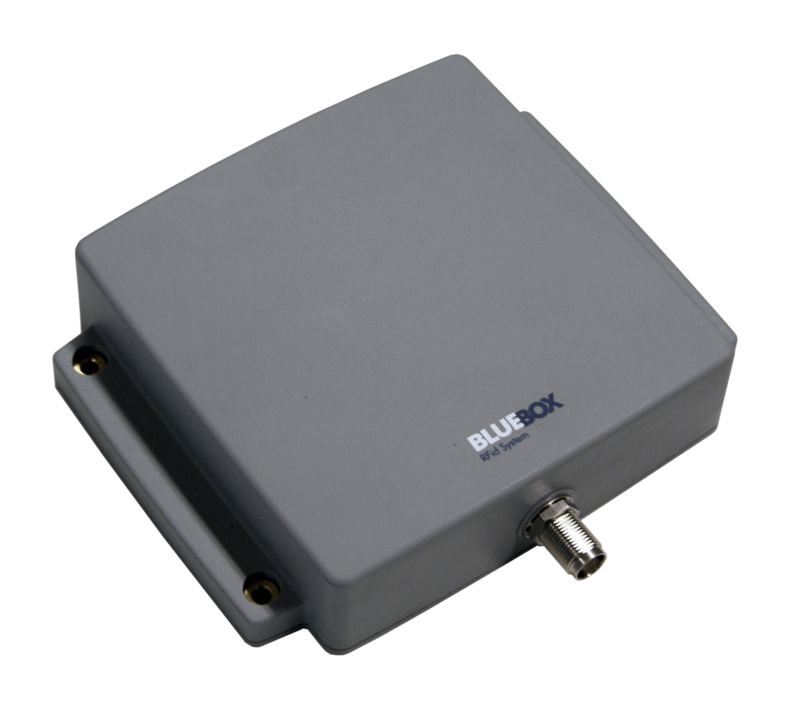 Installation of a BLUEBOX Portal with Antenna for non-contact, water- and dirt-proof angle detection. 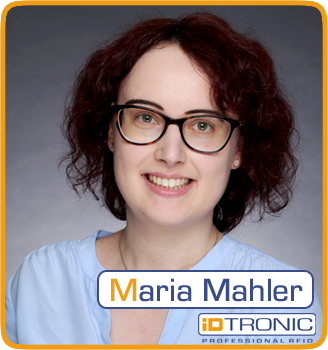 Identification of mounted Tags in a harsch, metal surrounded, environment. 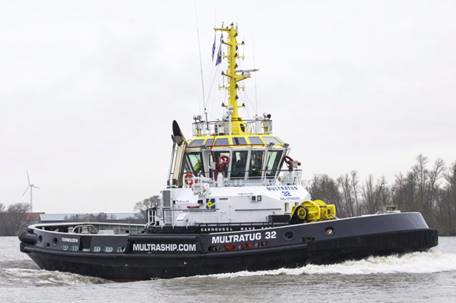 The company NOVATUG, which is part of the private owned towage and salvage company Multraship, has developed an innovative harbour tug together with international partners and has since built two of them, both of which are used by Multraship. 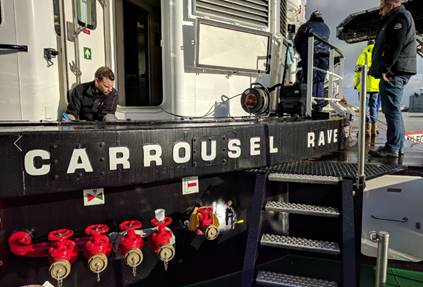 The innovative tug named CARROUSEL RAVE TUG (CRT) offers an effective solution to the current challenges in maritime shipping. The company NOVATUG wanted to measure and evaluate fuel consumption on its specially developed harbour tugs. 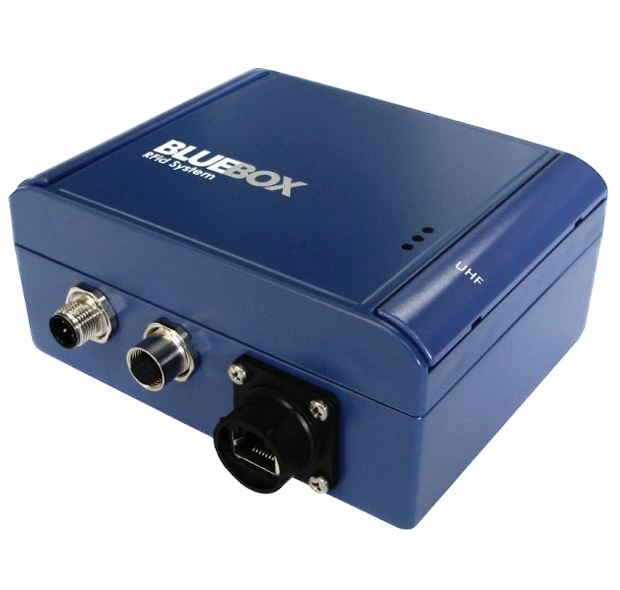 Elincom relies on the iDTRONIC BLUEBOX CX LR 1CH and the MR Antenna to ensure fast and accurate identification. On the inside of the carousel there are 60 UHF RFID tags mounted, every 6 degrees one, with the BLUEBOX CX LR 1CH and the corresponding MR Antenna the tags are read. 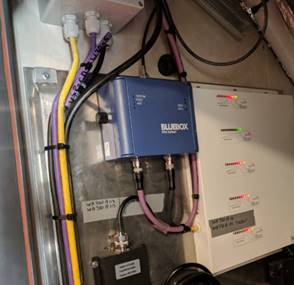 The BLUEBOX CX LR 1CH is mounted in the technical cabin on the ship. The MR Antenna is mounted outside in a specially designed antenna hole. The tag IDs are read by the on-board management software via PROFIBUS and referenced to a corresponding angle, which is graphically displayed to the skipper and sent to a remote backend server to combine the towing angle information with other information such as fuel consumption. In this way, fuel savings can be monitored on the CARROUSEL RAVE TUG. identification of all mounted tags due to its high reading range. is ideally suited for outdoor use on harbour tugs.